MELASMA IS A RECALCITRANT and resistant dark skin discolouration, typically occurring in women of colour and post-puberty via characteristic brown patches predominantly on the face or other sun-exposed areas. The known aetiologies are varied and include UV exposure, hormonal influences, genetics, and drug side-effects2–4. Most recently, the role of oestrogen in melasma seems to have become clearer as the protein-coupled oestrogen receptor (GPER) seems to enhance melanin synthesis by increasing the tyrosinase activity. The author concludes that ‘GPER is therefore a potential drug target for chloasma treatment’5,6. M. Rostami Mogaddam et al., found, that ‘there is a relationship between thyroid autoimmunity and melasma’ as the frequency of thyroid disorders positive anti-TPO was higher in melasma patients compared to the control group7. They additionally found that ‘there is a significant relationship between low levels of zinc and melasma’8. Clinically, melasma presents as multiple configurated patches located centrofacially, as well as on the neck, décolletage, and possibly on lower arms and legs. The diagnosis is achieved by expert clinical diagnosis as well as through investigation by wood light; epidermal melasma is fairly pigmented and shows a positive wood light test whereas the dermal type typically shows a greyish colour and is wood light negative. Consequently, melasma histologically presents increased melanin levels either epidermally or dermally or in both layers. Melasma is a consequence of hyper-functional melanocytes leading to excessive melanin deposition in the epidermis and dermis. Additionally, and in some cases, melasma goes along with increased vascularity of dermal blood vessels9 as well as possibly with the typical signs of skin ageing such as solar elastosis8; occasionally, perivascular lymphohistiocytic infiltration may occur10,11. 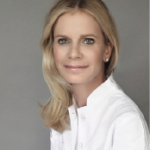 Not only does melasma have a significant impact on the aesthetic look of a patient but certainly on the psychological well-being and condition of our patients. Unfortunately, it remains a substantial challenge to effectively and safely treat melasma and, moreover, to find a safe and effective way to manage melasma in the long-term as this disease tends to reoccur. As discussed by the abridged Cochrane review published in the J Am Acad Dermatol in 201412, ‘a meta-analysis was not possible because of the heterogeneity of treatments’ and ‘randomised controlled trials on well-defined participants with long-term outcomes are needed’ to find a consensus on how to treat melasma. Those facts are given and being a dermatologist suffering from melasma myself; I started my clinical research on treating melasma by topicals in the late 1990s to find a safe and effective treatment method as well as the optimal therapeutic concept to manage and control melasma for skin prone to melasma on a long-term basis. Various treatment concepts have been established and published13. An interesting therapeutic approach is one of treating melasma topically. Here, the strategy is to effectively downregulate melanogenesis with topicals by controlling its formation on various levels14. Before melanin is formed, the transcriptional control of the tyrosinase expression or the reduction of melanogenic mediators (α-MSH) can be targeted. A good example for a topical here is tretinoin, the carboxylic acid form of vitamin A. All-trans retinoic acid (ATRA) as it acts on retinoid-activated transcription factors, interferes with melanocyte development and melanogenesis, stimulates the differentiation of melanocyte precursors, and removes differentiated melanocytes thanks to its exfoliating capacity15–18. As well as tretinoin, derivatives such as retinyl palmitate (the ester of retinol and palmitic acid), and retinol (vitamin A, axerophthol) are frequently used in cosmeceuticals. During melanin synthesis, the blocking of essential enzymes involved in melanogenesis, such as tyrosinase and peroxidase as well as ROS scavenger inhibition is a common strategy to tackle melasma. The gold standard here is undoubtedly hydroquinone (HQ)19–22. This drug is well known for its suppressive effect on melanin synthesis. As its hydroxyphenol compound is structurally similar to precursors of melanin, the mode of action is predominantly defined by being a competitive inhibitor of tyrosinase. Hydroquinone effects the formation of melanin as well as the degradation of melanosomes. Hydroquinone’s efficacy is dose-dependent and so are its side-effects. Typical side-effects are most commonly mild irritation or contact dermatitis, ‘confetti’- like hypopigmentations, exogenous ochronosis (seen in South Africa where high concentrations of non-pharmaceutical quality HQ are used). To date, no malignancy is related to topical HQ use23–26. Another active in this group is arbutin. It is a naturally occurring HQ β-D-glucopyranoside, derived from leaves of different berries (bearberry, cranberry etc.). 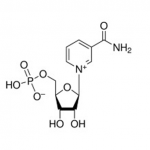 It decreases the tyrosinase activity without affecting messenger RNA (mRNA) expression, inhibits 5,6-dihydroxyindole-2-carboxylic acid (DHICA) polymerase activity (pmel17/silver protein), and exerts an inhibitory effect on melanosome maturation. Its efficacy is dose-dependent too27–33. Kojic acid (KA, 5-Hydroxy-2-Hydroxymethyl-4-Pyrone) is a natural substance produced by fungi or bacteria (Acetobacter, Aspergillus, Penicillium). It inhibits the free tyrosinase by chelating copper. KA is highly irritating, has a limited skin penetration due to its hydrophilic nature and acts dose-dependent as well. ROS scavengers in this context are typically azelaic acid34, isolated initially from Pityrosporum ovale and known as an effective therapeutic agent for conditions such as acne and rosacea, as well as for its melanin production inhibition. Phenylethyl resorcinol is a potent non-irritant anti-oxidant with the potential to reduce melanin synthesis and to suppress inflammation by inhibiting cox-II-tyrosinase and other inflammatory melanin activating factors35. Ascorbic acid interferes with the various steps of melanisation, interacts with copper ions at the tyrosinase active site, and reduces dopaquinone by blocking DHICA oxidation36,37. One example of an agent with peroxidase inhibition properties is methimazole, an antithyroid agent belonging to the thioamide group which exerts inhibitory action towards both mushroom tyrosinase and peroxidase oxidation of 5,6-dihydroxyindole (DHI) with the generation of hydrogen peroxide (H2O2) as a by-product38,39. 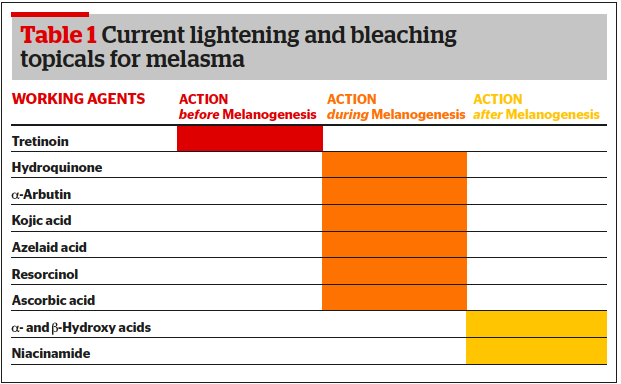 After melanogenesis, melanosome transfer inhibition and melanin dispersion are the two major strategies to reduce unwanted pigmentation and melanin content, respectively. Linoleic acid40, soybean41 but predominantly acids to peel off the skin are mainstays in the topical therapy of melasma — alpha hydroxy acids (AHA), a group of organic carboxylic compounds such as glycolic, lactic acid or others (mandelic, citric acid etc.). Peeling with AHAs results in thinning of the stratum corneum and dispersion of melanin as well as the enhancement of the penetration of other agents. Additionally, AHAs are known for their antioxidant, anti-inflammatory, and anticomedogenic power to enhance overall skin quality. Glycolic and lactic acid can inhibit melanin production and — in combination with HQ — they are highly effective in treating melasma42-46. Niacinamide has anti-inflammatory properties and can decrease the transfer of melanosomes47. Beta hydroxy acids, such as salicylic acid loosen keratinocytes and by that action remove melanin48,49. Alternatively, one should try to avoid long-term exposure to hydroquinone and consider maintenance treatments by using alternative agents. A good example of an HQ-free treatment option is ready-to-use compositions such as specialist combination peels. Typical working agents responsible for the bleach-peel effect can be kojic acid, alpha-arbutin, azelaic acid, a tyrosinol complex, vitamin C, niacinamide, retinyl palmitate, and a salicylic acid such as in Dermamelan© (Mesoestetic). The treatment consists of a specific mask to be applied to the affected area containing all the aforenamed working agents. The leave-on-time depends on all variables mentioned above such as severity of the melasma, skin type, skin condition etc. The clinical effect after one treatment is illustrated in Figure 2. 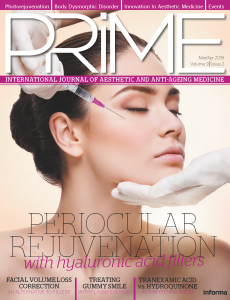 It is important to understand that one can experience favourable results with such non-drug-containing combination peels as a stand-alone treatment. The big advantage of such topical combination peels is that those treatments are very much suited to treat less heavy cases and to maintain the effect of medical treatments. 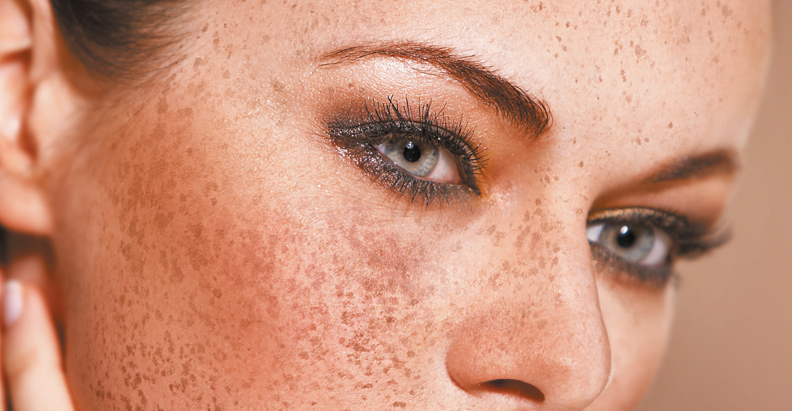 However, many melasma cases require stronger treatments. The medical chemical peelings to treat melasma are typically individually formulated based on the practitioner’s experience (therefore not ready-to-use) by combining various topicals regulated as cosmeceuticals but also regulated as prescription drugs65,66. The aim is to combine the effect of a controlled deeper chemical peeling with the power of topical bleaching. This is why it makes sense to individually customise a treatment protocol by combining various different agents with both a strong peeling and bleaching capacity to bleach-peel the skin in a controlled and moreover effective way. Typical drugs included in such treatments are prescription drugs such as hydroquinone HQ (1,4 Dihydroxybenzol), tretinoin (Trans-retinoic-acid) with salicylic acid, lactic acid, alpha-hydroxy acid (AHA), and ascorbic acid. The overall strength of this treatment can be compared to a medium depth peel. By varying the working agents, their concentrations, the delivery agent (e.g. solution or mask), the exposure time, the number of layers applied, the overall therapeutic effect is adaptable to the patient individually. All topical treatments in melasma have to be carefully evaluated and decisions made individually for the respected patient according to their indication. Additionally, a distinct pre- and post-peel skincare plan has to be set up. The patient has to understand that every skin prone to melasma formation needs an individual skin ‘diet’, meaning that one should be very careful in choosing the respected skincare as many ingredients can increase the risk of induction, aggravation or relapse of this unwanted pigmentation — post-inflammatory hyperpigmentation (PIH)67. Therefore, any patient suffering from melasma needs to be individually instructed on their skincare regimen as well as advised to use skin type-adapted SPF every day throughout the year. Other triggering factors, such as potentially but not imperatively topical and oral hormones68–70 have to be identified. Additionally, ‘coaching’ our patients is key to increasing compliance and success of such treatments. This has to be done by first evaluating different treatment options carefully and then by consulting on realistic expectations of the treatment option available. Additionally, the potential effect of the treatment has to be ‘forecasted’ in a realistic way, by simultaneously making patients understand that one can’t ‘heal’ melasma but manage this skin disease successfully. There is a substantial need to offer such patients a realistic and effective treatment concept, as it inflicts on the emotional wellbeing of many of those suffering from this unwanted skin pigmentation71. Furthermore, it is important to stress the fact that every patient has to understand that skin prone to melasma formation needs an individual skin ‘diet’, meaning that they should be cautious in choosing their respected skincare products and that wearing a skin type-adapted SPF every day throughout the year is essential. Additionally, they should understand that various treatment options can be the ‘wrong’ treatment because the risk of aggravation or induction of post-inflammatory hyperpigmentation (PIH) and relapsing of the disease is high in such patients. As described and reported above, there are various topical treatment options specified in the literature and clinically used over many decades. My personal experience performing topical dermatological treatments for melasma for more than 15 years now shows that such treatments can be very effective and also safe to treat and manage melasma sustainably. However, the data shows, currently there is limited evidence to support the efficacy of many interventions as well as poor methodology and a lack of standardised outcome assessments as well as poor duration and scope of existing studies. As discussed by the abridged Cochrane review published in J Am Acad Dermatol in 2014, ‘randomised controlled trials on well-defined participants with long-term outcomes are needed’72 to find a consensus on how to best treat melasma. Topical depigmentation for melasma based on the bleach-peel principle with a number of agents, such as cosmeceuticals and prescription drugs acting before, during, and after melanogenesis in a customised way represents an effective treatment approach to manage melasma successfully and safely on a long-term perspective. Rostami Mogaddam M. Evaluation of the serum zinc level in adult patients with melasma: Is there a relationship with serum zinc deficiency and melasma? J Cosmet Dermatol. 2017 Nov 12. doi: 10.1111/jocd.12392. 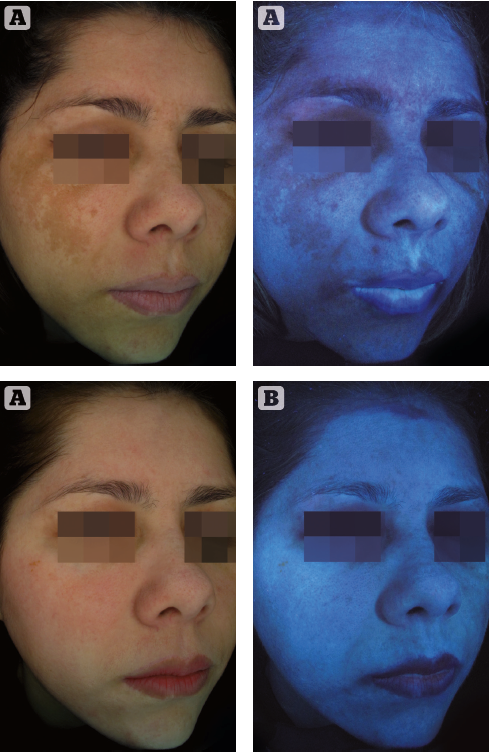 Oluwatobi A. Ogbechie-Godec et al.. Melasma: an Up-to-Date Comprehensive Review. Dermatol Ther (Heidelb). 2017 Sep; 7(3): 305–318.